On February 12, 1947, an estimated 500 US military veterans who were involved in World War I and World War II and Conscientious Objectors burned their draft cards in both New York City and Washington, DC. 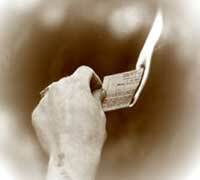 Those in DC, burned their draft cards in front of the White House because of a proposed universal conscription law. The law was defeated that year, but reinstated in 1948 with the signing of the Selective Service Act. Remembering this act of resistance is important for a variety of reasons. First, it dispels the notion that prior to the Vietnam war, US soldiers were compliant with draft laws and happy to serve in the military. An estimated 72,000 men register as Conscientious Objectors during World War II, a number, which flies in the face of the so-called “Greatest Generation.” People opposed the war for a variety of reasons, some because of their faith, while others objected to the imperialist nature of US wars. In the powerful film, The Good War and Those Who Refused to Fight It, we hear from dozens of US men who were Cos during WWII and their motivations for such resistance. These were men who still went to war as clerks or medics, these were men who stayed in the US and did some other form of service in the Conservation Corp. This act of resistance in 1947 also is important, since it demonstrates that there has been a long history of domestic opposition to forced military conscription in the US. 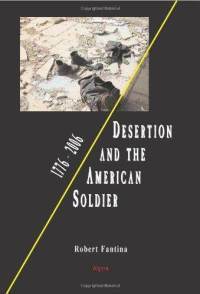 In his book Desertion And the American Soldier: 1776-2006, Robert Fantina documents how tens of thousands of US soldiers have resisted conscription and went AWOL while in the US military. Such documentation smashes this myth about US soldier obedience in this country’s history and shows that in every US war there have been men (and some women) who have refused to engage in brutal acts of violence against enemy soldiers and civilians. There are men and women who have also refused to participate in the US wars in Iraq and Afghanistan, despite the almost complete absence of media coverage of such refusal. Today, we honor the courage of men and women who refuse to participate in war and publicly defy US militarism and Imperialism.